Head on over to Philosophy for their year-end sale with up to 50% off select items! 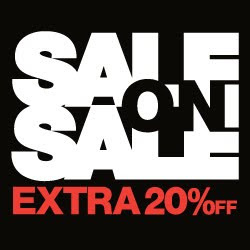 Save an extra 20% off all sale items online at Sephora, just enter EXTRA at checkout. Hurry, sale ends Thursday, December 21st. 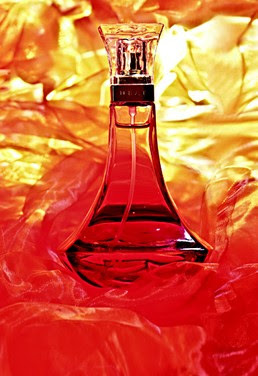 Beyoncé joins the fragrance craze and is set to launch her own in February 2009. 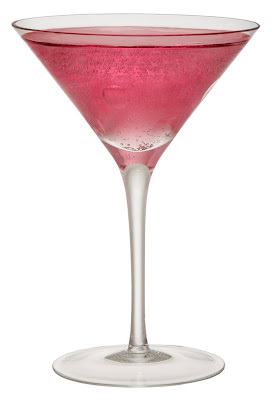 Heat's concotion consists of top notes of red vanilla orchid, magnolia, neroli and blush peach; middle notes of honeysuckle nectar, almond macaroon and crème de musk, and base notes of giant sequoia milkwood, tonka bean and amber. So you're packed and ready to go. You get to the airport, go through check-in and once again, you're not allowed on with your beauty needs because of the regulations. 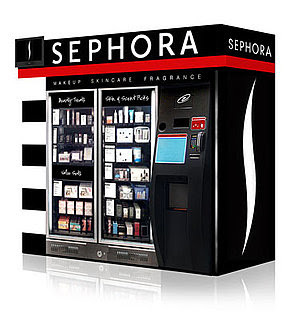 Well, don't fret, Sephora Vending Machines are popping up at airports across the U.S. There you'll find your fav skincare, makeup and beauty needs for your trip. So far participating airports include: BNA-Nashville, TN, LAS-Las Vegas, NV, IND- Indianapolis, IN, DFW-Dallas, TX, JFK-Queens, NY and IAH-Houston, TX. 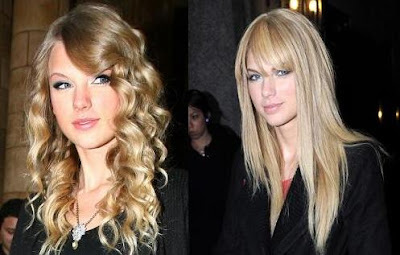 Taylor was spotted out in NYC one week ago with her sleek 'do and I must say, I LOVE it! There's only two days left for you to enter the contest to be the next Winterless Forecaster! I couldn't pass it up and found myself at the register in record time! One of my favorite scents is Coco by Chanel. Do you know a Chanel lover? 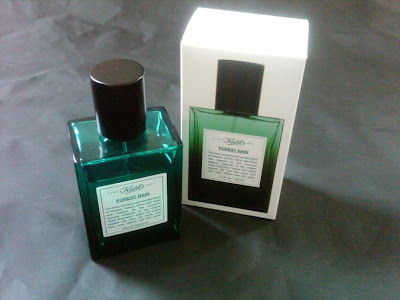 Here's a cute gift set for them to sample all of her lovely scents. The Fragrance Wardrobe 2009 Gift Set includes one parfum bottle each of Chanel N°5, Coco Mademoiselle, Coco, Chanel N°19 and Allure in a 0.12 oz. size. Helena Christensen fabulous at 40 ! Celebrate the season with Rock The Cure Lip Gloss by Rock & Republic—a gloss that goes beyond lip service. Created to benefit City of Hope—a biomedical research and treatment center dedicated to the prevention, treatment and cure of cancer and other life-threatening diseases—the brilliant red shade is a stylish declaration of change. When you gift this gloss to someone you love this holiday season, you also give the gift of hope to those who need it most with 100% of profits generated benefiting City of Hope and the organization’s groundbreaking work in stem cell and immunotherapeutics research. 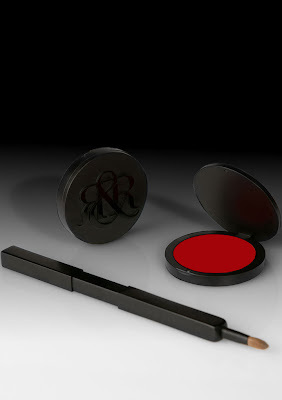 Available at Nordstrom, Rock & Republic Signature Stores and RockandRepublicCosmetics.com.